"Birdseye-effect 120s pure merino wool fabric with crease recovery, tailored for impeccable fit and drape." Response from Charles Tyrwhitt: With such a diverse range of products offered at Charles Tyrwhitt, we completely appreciate that some items may not be suited to everyone. The birdseye travel suit does indeed have a more textured appearance due to the nature of the birdseye weave which is a traditional yet timeless pattern. Please be assured that you are welcomed to return this to be exchanged for something more suited to your taste, please feel free to return using the instructions inside the parcel or contact our customer service team for further guidance. Great product - I have just bought another one too!!! 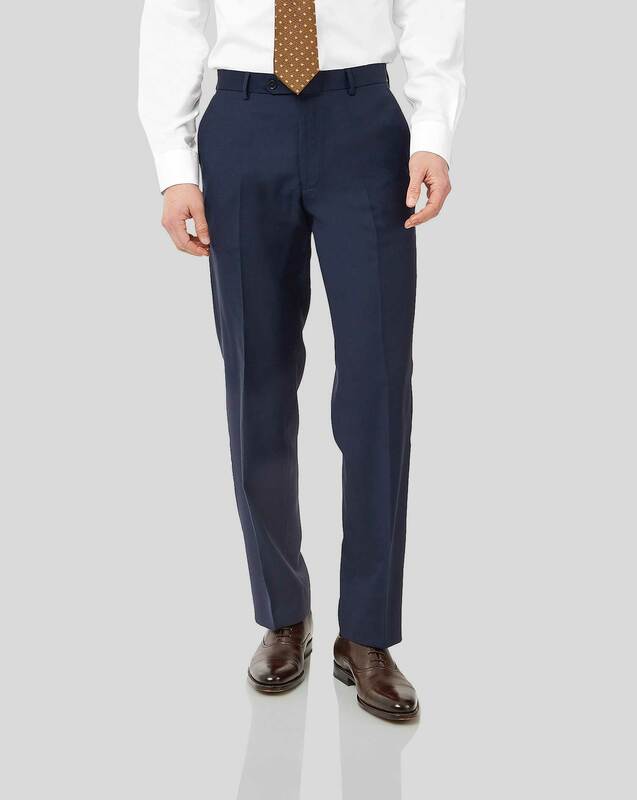 Response from Charles Tyrwhitt: I'm sorry the quality of the suit was below our standard. I can see you have returned this to us for a refund. Once we receive this we will send you a confirmation email.